Learn how to use and create digital technology that’s inclusive to people with different disabilities on Global Accessibility Awareness Day! 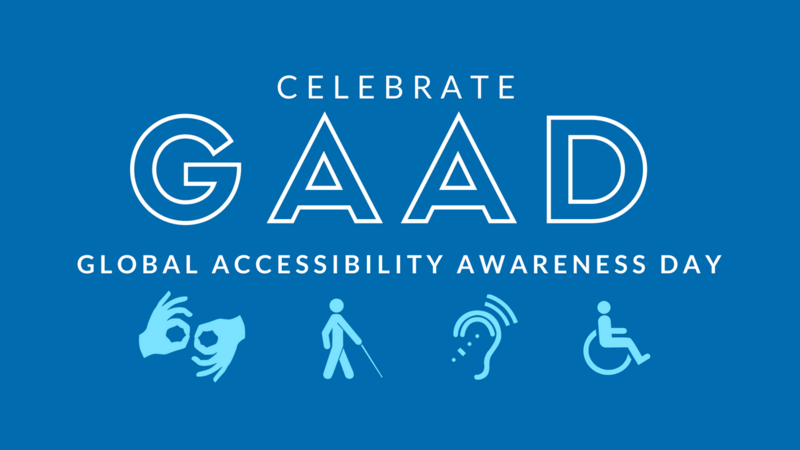 Launched in 2012, Global Accessibility Awareness Day (GAAD) takes place annually on the third Thursday in May. The purpose of GAAD is to get everyone talking, thinking and learning about digital access and inclusion. GAAD started in 2011 as a way for web developers to educate themselves and others about how to create web pages that are accessible to people with disabilities and has since become an international initiative with events around the globe. While people may be interested in the topic of making technology accessible and usable by persons with disabilities, the reality is that they often do not know how or where to start. Awareness comes first.